Note: If you haven’t watched the first episode and don’t want to be exposed to spoilers, please consider doing so before returning to read this post. I don’t want to affect your enjoyment of the first episode and (possibly, but most likely not) the anime as a whole. Let me start off by saying that shoujo anime and manga never appealed to me. 少女 (shoujo) literally means girl. (If we get into the specifics of the kanji, it can also translate to “young girl”. Wow, my two years of Japanese make me feel like an expert.) Shoujo is a demographic that is obviously aimed at a teenage female readership. 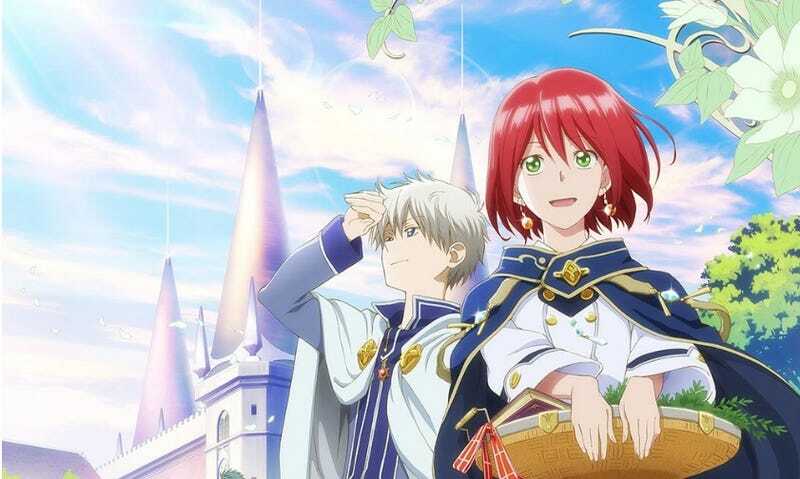 Somehow, I ended up watching the first episode of Snow White with the Red Hair (also known as Akagami no Shirayukihime). When I first read the synopsis, I was intrigued, but still hesitant to watch it. Surprisingly, I ended the episode on an overwhelmingly positive note and even ended up watching it a second time. Here I am, posting my reasons for enjoying this anime besides the smooth animation and gorgeous art style that are delivered by Bones. Zen feels like the physical embodiment of cliché tropes, and yet, I couldn’t dislike him for that. He pulls off those romance bits really well. I was actually having a hard time explaining (in detail) why I find him a likeable character, so I created a list to simplify the process. He doesn’t look like a pretty-boy (to me, at least). He pokes fun at his friends (or rather, one of them), which gives the anime (and his character) some added flair. He provides the show with some entertaining action. This was an especially huge benefit to my enjoyment factor. It also most likely reversed my decision of entirely dropping the anime. In every romance anime I have ever watched, the side characters are given naught but one purpose: lighten the mood at romantic moments. That’s what happens when Kiki and Mitsuhide get their screen time, but they can actually resist ruining the (possibly) romantic events. I was surprised to learn that they are capable of being serious when the plot dives into that moment of “Hey, what the—? Well, that’s not good... ” and become concerned when some poisoned apples bad things happen. There’s something about them that makes me feel like they have a purpose in the story. Yes, Zen pulled out some smooth lines to cheer Shirayuki up. 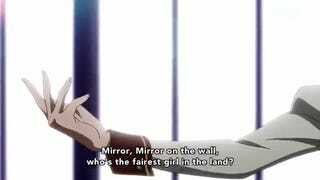 He does have some little romantic bits (like the apple scene), and he ends up saving Shirayuki from the oddball prince who couldn’t distinguish a human and a mirror apart wanted Shirayuki as a concubine. I could say our protagonist is immensely grateful to Zen for her rescue and she can go ahead and entrust her life to him. Cue confession time! Or not. 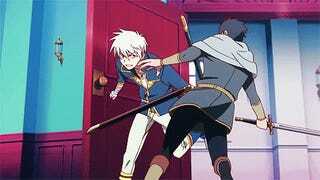 Neither Shirayuki nor Zen explicitly state they have any feelings towards the other. At this stage, Zen only established a friendship with Shirayuki. That’s perfectly fine. It’s pretty obvious they’ll get together, but jumping straight into confessions right off the bat just doesn’t work for me. Despite my disinterest in shoujo anime/manga, I can tell you without a doubt that Snow White with the Red Hair was an unexpectedly welcome surprise. It wasn’t just likeable; it completely and utterly destroyed my expectations, and I’m glad it did. Bones’ artwork and animation for this anime is an absolute pleasure to look at. My eyes tend to wander around the screen to gaze at the backgrounds. If there’s one thing I’m pleased with, it’s that Shirayuki isn’t a sexualized character. It’s a blessing after watching too many action anime with hot spring trips and other needless fanservice tropes. I can fully appreciate her as a character and protagonist. She’s also the designated medic, making her more useful than other protagonists I’ve seen. 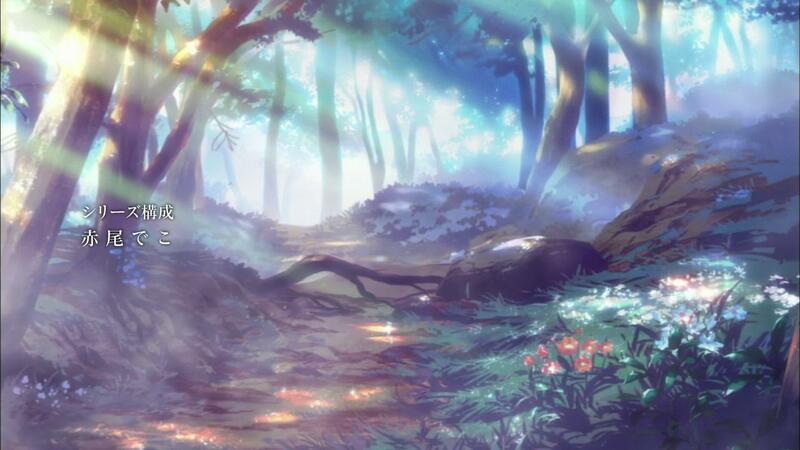 This anime took everything I didn’t like about the romance genre and polished it to perfection (in my opinion). If you’re looking for a promising romance with entertaining characters, I think this anime is definitely worth your time. Snow White with the Red Hair (Akagami no Shirayukihime) is a ongoing manga written and illustrated by Sorata Akizuki that began in 2006. It has recently received an anime adaptation that is planned to run for two seasons. Funimation has acquired licensing rights and will stream the anime as it airs in Japan, with new episodes released every Monday on Funimation’s official website.